Anaha, is known as one of the most sophisticated and design-forward residential design condominium buildings on Oahu, raising the benchmark for luxury living in one of the world’s most desirable locations. Anaha 3801, is one of two grand Penthouse residences within the building, with a spectacular Downtown Honolulu, Kewalo Basin and westerly view orientation. The build out of this stunning residence is scheduled for completion in 2019. Floor plans and finish specifications will be available upon request. Design features include over 5819 square feet of interior living areas and a private roof top terrace with infinity pool. Amenities of a luxury resort, ten foot high ceilings and a brilliant rolling glass facade. 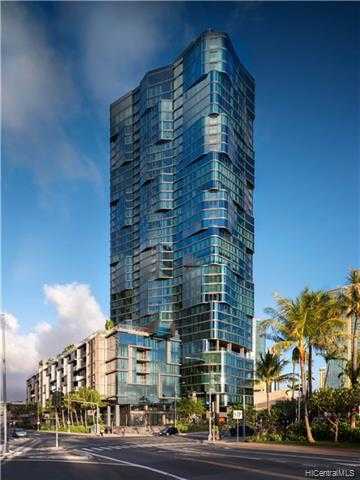 Please, send me more information on this property: MLS# 201822048 – $17,500,000 – 1108 Auahi Street Unit 3801, Honolulu, HI 96814. I would like to schedule a showing appointment for this property: MLS# 201822048 – $17,500,000 – 1108 Auahi Street Unit 3801, Honolulu, HI 96814.